The services provided by our appliances technicians are always valuable. When it comes to dishwasher issues, we have the best Dishwasher Technician in Vaughan. Our expertise combined with our knowledge of these kitchen appliances ensures superior services every single time. We use high quality and proper tools for the services and have the experience demanded in order to troubleshoot your dishwasher meticulously and offer the right solutions. We excel in dishwasher repair and promise to solve issues efficiently. The specialized team of Appliance Repair Vaughanis always at your service. When there is a problem with the dishwasher, just let us know. Leave the rest to our expert appliance technician in Vaughan. Leaking and overflowing appliances will be checked thoroughly and will be repaired. When the dishwasher won’t start or there is not enough water supply, we will check the problem and have it fixed. When hoses are broken, they are replaced. Our Vaughan Dishwasher Technician will thoroughly troubleshoot and inspect all parts of the appliance in order to determine the true causes of a specific problem. We have the right means and perfect experience and we promise you that our work is efficient. If you have bought an integrated appliance, trust our appliances technician for dishwasher installation. We are extremely accurate and know how to install all brands and models. Having excellent knowledge of all dishwashers in Ontario is tremendously important. 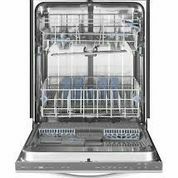 We are actually familiar with the features and special characteristics of all dishwashers and definitely of the new generation dishwashers as well. Our Appliance Repair in Vaughan likes perfection. We know the value of dishwashers in your everyday lives and that’s why we guarantee outstanding services and fast response. We send one of our appliances technicians at once at your place and we will also tell you what to do when the floor is flooded. We like to take care of our customers and that’s why we promise exceptional customer service, the greatest dishwasher technician and the perfect dishwasher solutions.